Orange Johnson Oil Portrait from the collections of the Worthington Historical Society (WHS) may be used for educational purposes as long as it is not altered in any way and proper credit is given: "Courtesy of the Worthington Historical Society, Worthington, OH." Prior written permission of the WHS is required for any other use of Orange Johnson Oil Portrait. Contact WHS at info@worthingtonhistory.org to request permission. Orange Johnson Oil Portrait is an art original. Like many other frontiersmen, Johnson had multiple talents. He was also a mechanic, farmer, manufacturer,contractor and banker. In 1827 Johnson became superintendent and incorporator of the Sandusky to Columbus Turnpike. During that time he developed banking contacts, and became a stock holder in the Clinton bank in Columbus. 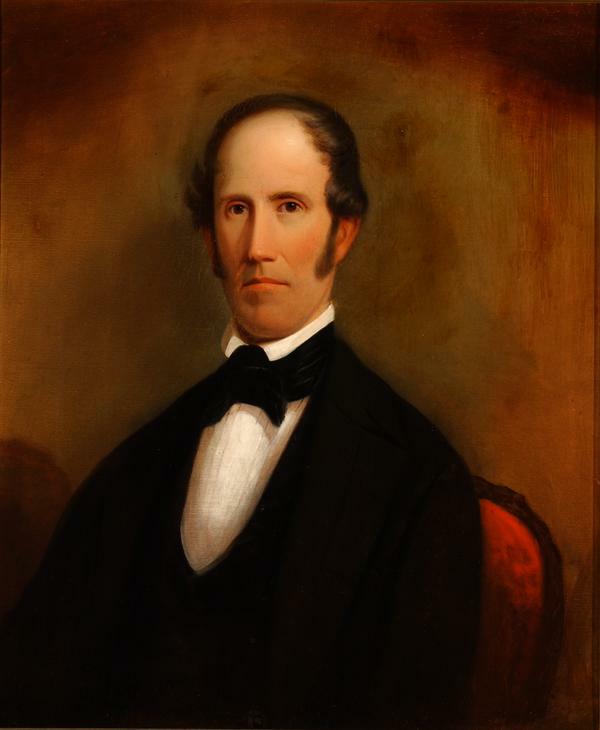 He also became president of the Xenia to Columbus Railroad, builder of the Johnson block, the Sessions block, and a partner in the Commercial National Bank in Columbus. In 1815 Orange married Achsa Maynard (b. Apr 7, 1791 d. May 21, 1882) of Worthington. It covers the topics art and businessmen. It features the person Orange Johnson, 1790-1876. The Worthington Memory identification code is whs0787.